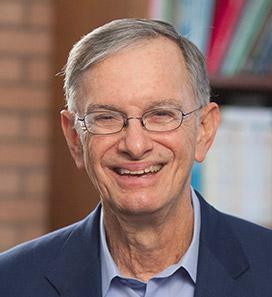 Dr. Jon Pynoos is the UPS Foundation Professor in the USC Leonard Davis School of Gerontology, the author of six books and many articles on housing and the elderly, and an advocate for aging in place. While a graduate student studying urban planning at Harvard in his early 20s, he met a 73-year-old woman named Dorothy Benton who became a close friend. It is a marvelous story of the beauty and lifelong impact of cross-generational friendships. He said, "She definitely changed my life. I wouldn't be in the field of aging if I hadn't encountered her. I feel like I owe her a debt." Dr. Jon Pynoos talks about the cross-generational friendship he had with 73-year-old Dorothy Benton whom he met as a young graduate student at Harvard. Gina Pell believes in living life fully without generational boundaries. She coined the term Perennials: "We are ever-blooming, relevant people of all ages... (who) are passionate, compassionate, creative, confident, collaborative, global-minded, risk takers..." Gina defines Perennials and their growing place in the world.